UK Stampin' Up! Demonstrator | make beautiful cards | Crafty Hippy: Etsy shop coming soon! 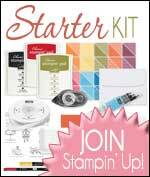 If you have strayed on to my site I am a Stampin' Up! Demonstrator and I usually post up pictures of cardmaking and scrapbooking projects, however from time to time I post up other random crafts that I have made. 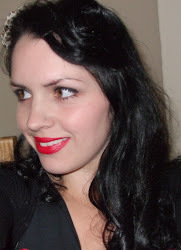 I hope you enjoy today's post and will come back again to visit my site another day. Today I am showcasing some handfasting cords. As followers of this blog know I got handfasted to Mr Hippy at Beltane earlier this year, and I made my own cords. I decided to make my own because the cords I looked at were too fussy for me; many of the cords online are beautiful, but have hanging charms or were in colours that I just didn't like. There is every chance I will make some with charms that are a bit fussier, but for now I'm going to concentrate on making cords for people who feel less-is-more. I am also going to be making some niche cards to sell (I have started already), mainly handfasting cards and gay wedding cards. I'll also be selling some earrings I've made, amongst other things. I will post up pictures of my handfasting cards and jewellery a bit later in the month, and then a link when I'm all set up in my shop.